Doors open for auction at 1pm – concert begins at 2 pm. 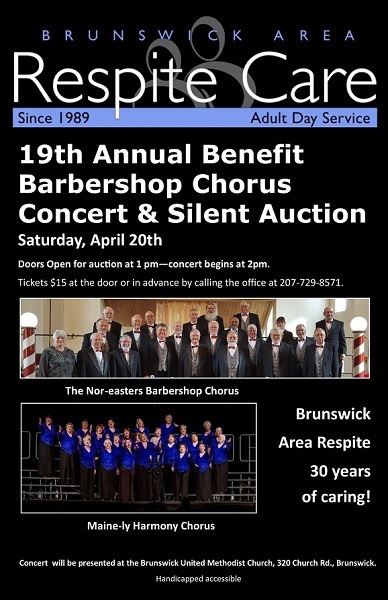 The concert and auction will be presented at the Brunswick United Methodist Church, 320 Church Rd., Brunswick. Brunswick Area Respite Care – 30 Years of Caring!